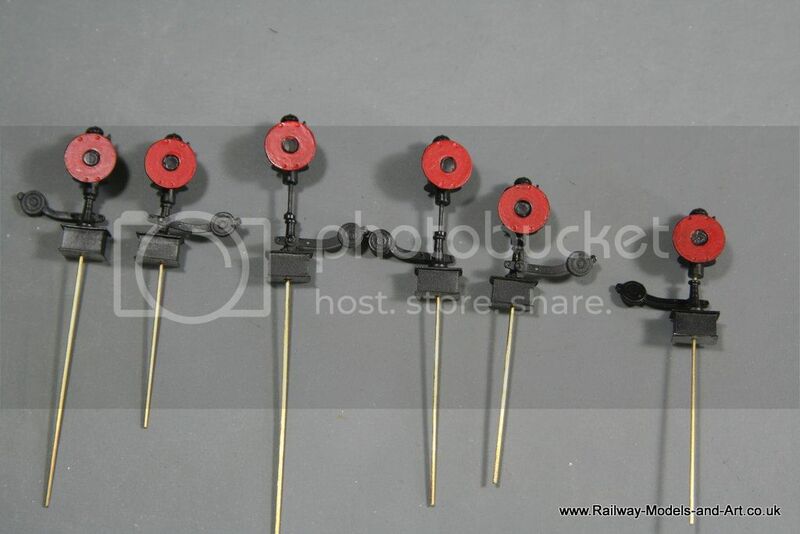 I have surplus to requirements six GER ground Signals four of them a lower type and two taller type. They are all painted and ready to fit. 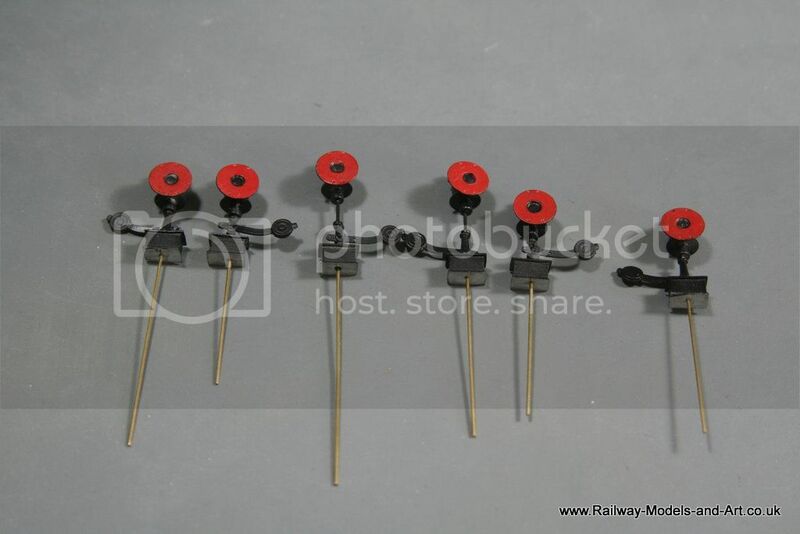 The heads are mounted on brass rod and are able to rotate but the levers are fixed.